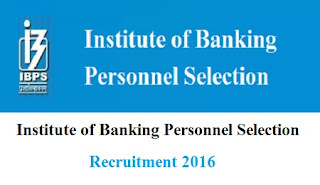 Institute of Banking Personnel Selection (IBPS) has announced Online Application form for CWE PO/MT-VI for the post Probationary Officer/ Management Trainee in Government Banks and other financial institutes. There will be a common Written Exam will be conducted online by the IBPS in October or November 2016. Applicants interested may apply online on or before 13th August 2016. Education/ Qualification for Government banking jobs: Applicants interested in this job must possess any graduate degree from Government recognised university/ institution. 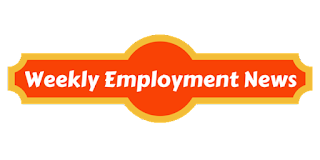 30 years as on 01st July 2016, there is age relaxation for the candidates belongs to the category of ST/ SC of 5 years, OBC 3 years and for PwD 10 years. Online Preliminary Examination, Main Examination & Personal Interview. Fee: Fee of Rs. 600/- for General candidates and Rs. 100/- for SC/ ST/ PwD/ ExSM candidates. Procedure to apply for Government bank jobs: Applicants interested in this job may apply online from the website address given below in the link starting from 26th July 2016 until 13th August 2016.